Tokyo (AFP) - More than 70 years after striking fear into the hearts of Allied pilots, a restored Zero fighter took to the skies in southern Japan on Wednesday. Japan's most famous World War II fighter aircraft was developed by Mitsubishi Heavy Industries and was noted for its technological advancement. The legendary planes took part in the Japanese attack on Pearl Harbor while "kamikaze" suicide pilots crashed them into US ships in the later stages of the war. 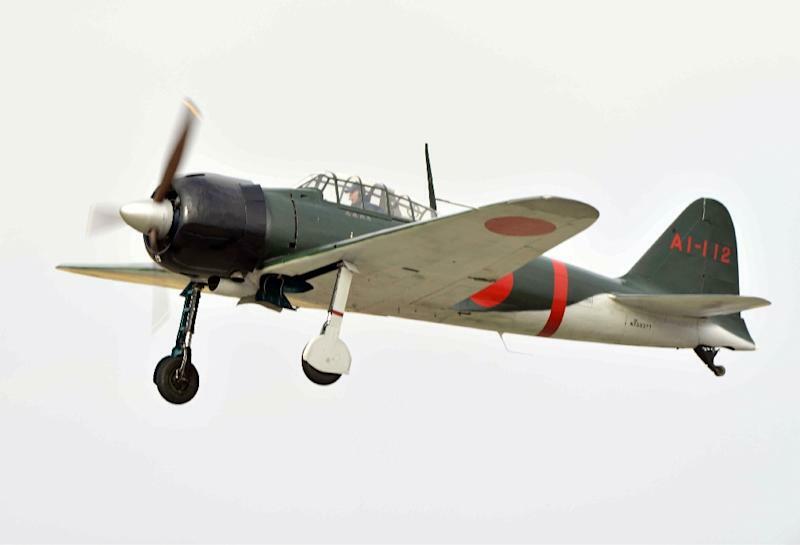 The restored plane took off from a Japanese military base on the island of Kyushu for two short flights, the Nikkan Sports newspaper reported. The aircraft, painted dark green with round bright red "circle of the sun" symbols on its body and wings, was airborne for six minutes and 16 minutes, respectively, the report said. The plane was found in 1970 in Papua New Guinea -- the scene of fierce fighting during World War II -- and restored, ending up in the United States before being brought to Japan in parts in 2014, the report said. Other restored fighters have been flown over the country, but the Chunichi Shimbun daily reported that the flight Wednesday marked the first time since the end of the war that a Japanese-owned Zero took to the skies in Japan.